I thought I knew the answer to this question. I’d written and rewritten my first book, given the thing to friends to read, gone back to it and changed bits. And then I’d sent it off to agents, in full book deal fantasy mode. I’ve probably submitted about 30 times in all, but each of those submissions was flawed. A central character lacked depth, another character wasn’t as funny as she should have been. You know the drill. And so the rejection letters stacked up, sometimes with reasons: ‘it’s not enough to stand out in today’s overcrowded fiction market.’ Oh yeah? ‘I didn’t fall in love with it.’ Well, you can’t argue with that. Then something fortuitous happened, a gem of a thing. 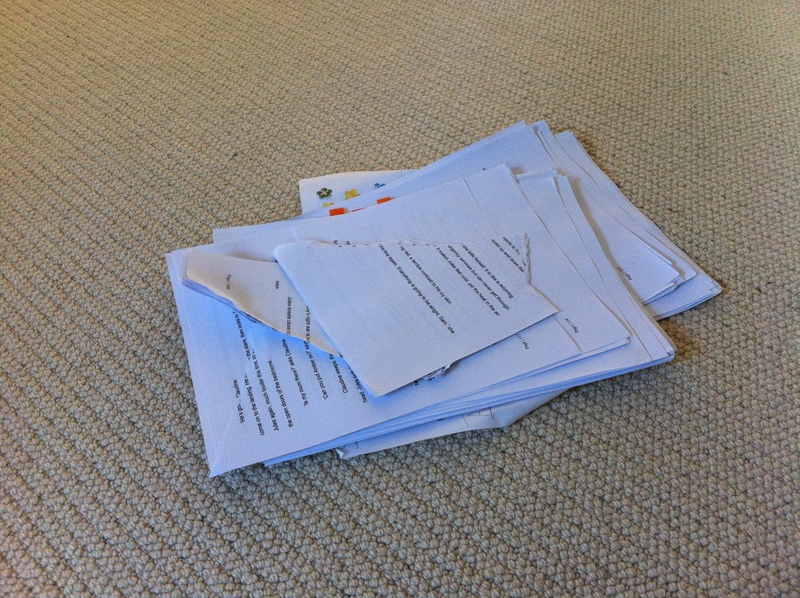 An agent read through half of it. She loved my concept, my writing, but the characters’ voices just weren’t strong enough, she thought. I know it’s all subjective, but the thing is, I agreed. All my editing had turned the characters into papery beings, people on the wrong side of dull. I started over. I didn’t write it chapter by chronological chapter. I wrote one character in her entirety in one file, another character in another file and so on – that helped me to discover each character and give them a distinct voice. I then fitted the novel back together with its brand new plot and a completely different ending. I’ve edited it, and given it to one person to read – he loved it. Another friend has started reading and is two chapters in. As it stands, my book is the best it can be at this moment in time. The characters are strong (I think, but then I’ve thought that before), the plot line has drive, (but then I’ve thought that before too). So is it ready to send out? One more proofread and yes, I think it is. Cue fantasy mode again. But the beauty of starting over is this: I’m hoping that this new book has all the magic of the original draft of my first book before it got ironed flat by edits. Thank you! It’ll be going out in the next couple of weeks, I think. Just found your blog today – really appreciate other writers sharing their warts & all experiences. Wishing you well and will be tuning in regularly. Thanks for reading, Poppy. Hope your writing is going well. I love your blog, Fiona, and I’m rooting for your novel. My current novel-in-progress stopped stagnating once I began writing the scenes I wanted to write. I only worked on the chronology once I was satisfied the individual characters had come to life. It is enjoyable now to piece it together, knowing I have some worthwhile (hopefully) writing to slot into place!